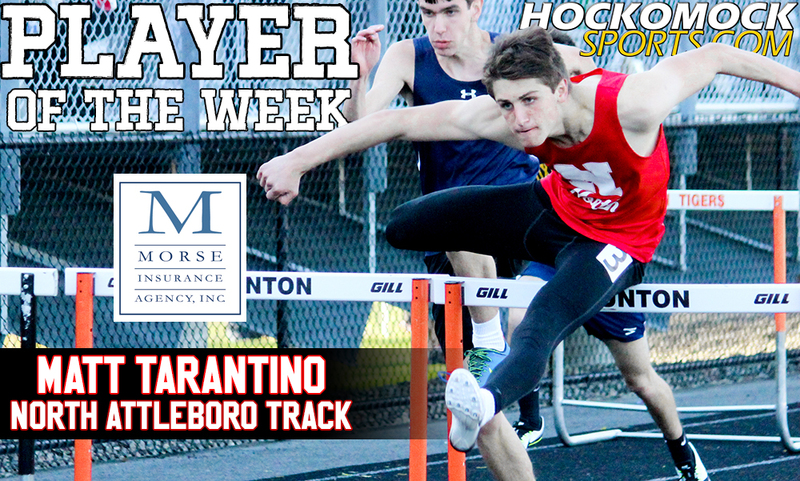 North Attleboro junior Matt Tarantino has been selected as the HockomockSports.com Player of the Week, presented by Morse Insurance, for May 21st through May 28th. Tarantino is the 32nd athlete selected for the 2016-2017 school year and the eighth selection during the spring season. He is the first outdoor track athlete and fourth North Attleboro athlete to be selected this school year. 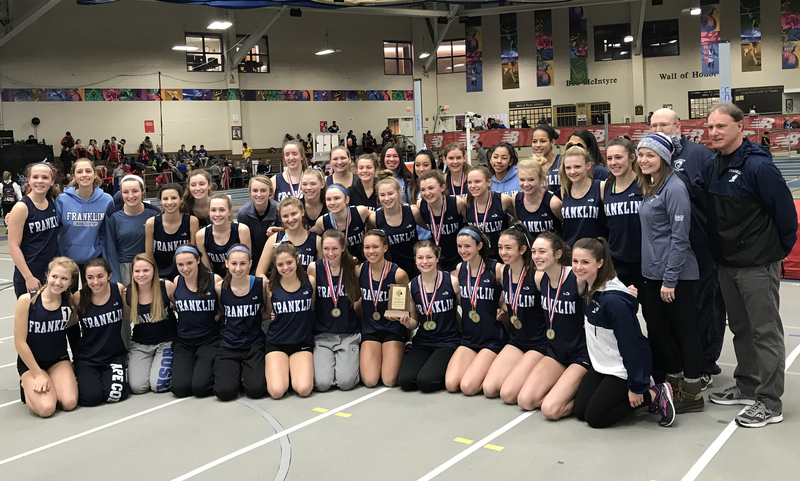 Tarantino had a pair of impressive performances in the past week, starting with the Hockomock League Championships on Sunday (5/21) at Attleboro High and then at the MIAA D2 EMass Championships this past weekend on Saturday at Greater New Bedford Regional. 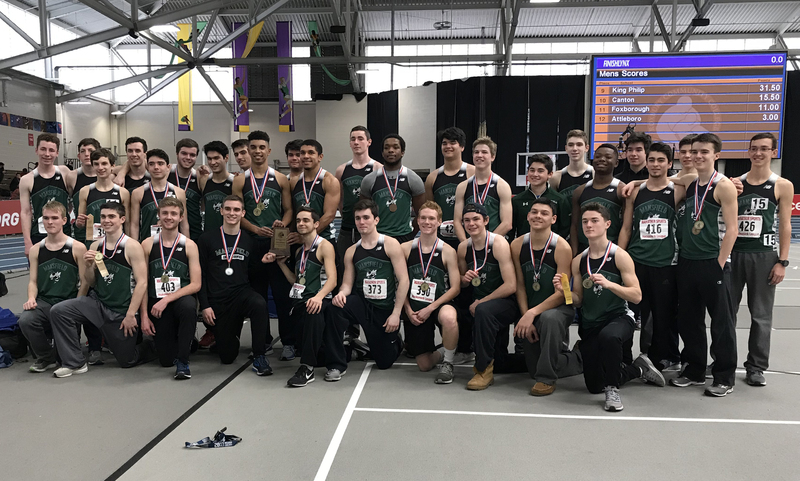 At the D2 EMass Championships, Tarantino placed first in the Pentathlon, breaking both the North Attleboro record and the meet record with a total score of 3210. 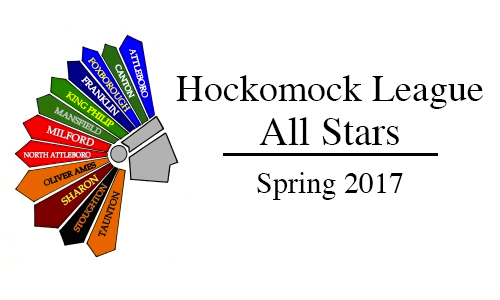 The junior also won the Hockomock League title in the long jump the week prior. After finishing second overall in the same meet a year ago, Tarantino came in first in three of the five events: the 110M hurdles (in a meet record time of 15.42), the high jump (6-03.50) and the long jump (19-10.75). He also placed fifth in the 1500M run (4:55.40) and eighth in the shot put (33-03.00). Tarantino also competed in the 110M hurdles outside of the pentathlon, coming in seventh overall (15.66) and was third in the high jump (6-00.00). He contributed a total of 17.50 points to the Rocketeers, who finished seventh overall with 48 points. 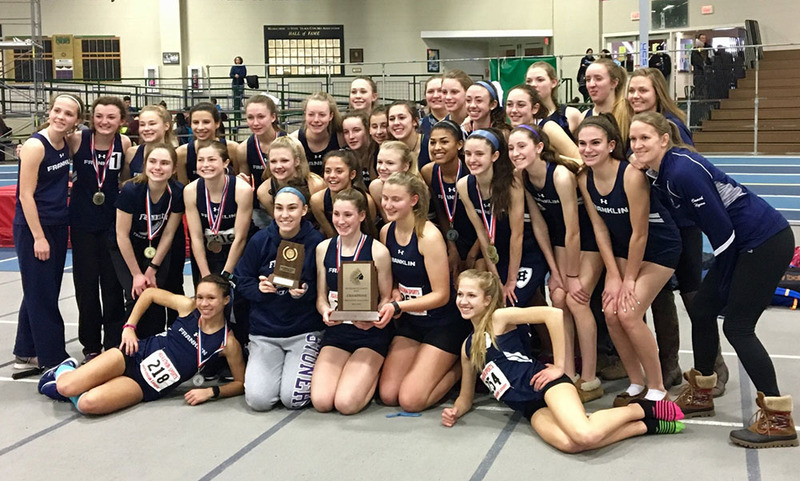 Before the D2 EMass Championships, the Rocketeers finished second at the Hockomock League Championships. Tarantino took part in three events, winning the long jump (21-06.75), taking third in the 110M hurdles (15.75) and fourth in high jump (6-02.00).